In December, City Council narrowly passed a controversial bill sponsored by Ninth District Councilwoman Cherelle Parker amending Oh’s initial legislation that protects homeowners from squatters. 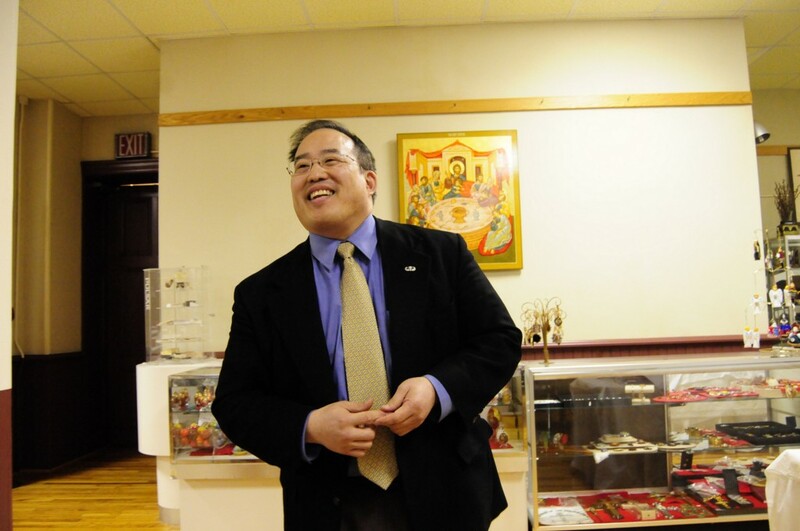 In an interview with the South Philly Review, at-large City Councilman David Oh said that he would introduce a third piece of legislation in the ongoing debate over illegal squatting in Philadelphia. He didn’t say, however, when he planned on introducing it. Oh’s initial bill, which went into effect in September, was created to allow homeowners to speed up the process by which property owners can remove squatters from their homes. The procedure that previously took up to six to nine months can now take days or weeks thanks to the ordinance, according to Oh. In December, Council narrowly passed a controversial bill sponsored by Ninth District Councilwoman Cherelle Parker amending Oh’s initial legislation that protects homeowners from squatters. The legislation carves out exceptions for people who are victims of residential lease fraud, or, in other words, people who are paying rent to a person who they believe owns the property but is not the actual owner. Those people would not face penalties associated with being a squatter under Parker’s bill. However, these people would still be mandated to vacate the property within 15 days. Parker’s bill also shields victims of domestic violence, sexual harassment and stalking who live with their abusers from being arrested as trespassers. Oh essentially claimed that Parker’s version of the bill has gutted the original version so much to the point that he “wouldn’t recommend using it” because “the amendment has so dramatically and drastically changed” from its original verbiage. Oh insists this isn’t quite true, however. “They’ve changed under [the bill] from ‘no person shall engage’ to ‘no person shall knowingly engage in activity that qualifies such person as a criminal and defiant trespasser.’…you have to show that they knowingly — not that they simply criminally were in your home or not criminally — but that they were in your home and there was criminal access, but they did so knowingly. It’s an additional burden for you, the homeowner,” he said. Additionally, the amended version of the bill, according to Oh, caps the fine for first-time offenders at $1,000 and $2,000 for any subsequent offenses. It also caps the amount of jail time available to a maximum of 90 days. In the event that a squatter stays in a building for six months, under Oh’s initial bill, the squatter would be subject to about 45 years worth of jail time, which Parker’s office found to be excessive. Oh also took issue with Parker’s amendment adding a subsection that calls for the allowance of 15 days for a victim or residential lease fraud to vacate the building. Oh said that even if you’re a victim of residential lease fraud, you should be made to vacate the rightful owner’s property. In the event an officer obtains reasonable suspicion that the occupants have illegally entered the residential property with the intent to deprive the owner of the property or to extort the owner for the return of the property and refuses to immediately leave, the officer shall notify police radio to dispatch a supervisor to the scene. The officer will consult with the responding supervisor and if the responding supervisor agrees that reasonable suspicion exists, they will transport the complainant/owner and any other witnesses, if willing, to the appropriate Detective Division and provide all documentation to the assigned detective. In the event that the officer and responding supervisor determine there not to be reasonable suspicion, the officer will “inform the complainant that the matter is not criminal at this time and, therefore, no immediate police action can be taken.” The officer should then inform the complainant that the matter “is a civil matter that must be addressed by the Courts” and recommend that the complainant contact an attorney as soon as possible.